First of all, Mo'Drill is an addon/modification for such large projects as IC 2 or Draconic Evolution PE. 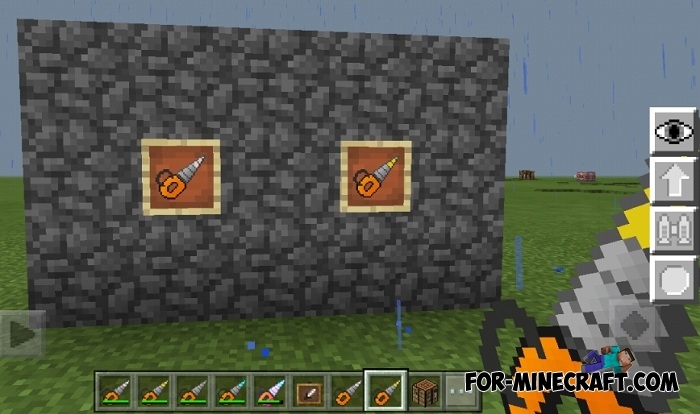 It adds 3 additional drills that allow mining ore several times faster than conventional pickaxes including the diamond one. Any drill is a complex tool that consumes energy or fuel, depending on your settings. Most IC mods already have a diamond drill but its crafting recipe is quite expensive so you can simplify your task a little and make cheaper drills. Of course they work a little slower, but with their help you can get whole tons of blocks without waving your hands. How to install the Mo'Drill mod? Dragon Block Evolution mod for Minecraft PEDragon Ball is a manga known around the world with a mass of fans that is recreated in Minecraft Bedrock Edition..